I mentioned before when giving the recipe for french bread twists that I am obsessed with my bread maker; specifically the dough function. For me it is magical; I can put a dough to knead, run an errand, come back to freshly kneaded dough and form an amazing bread. See? Magical. This Valentine’s Day, use your bread machine to make two beautiful bread bowls. Your effort will be minimal but it makes one hell of a presentation. 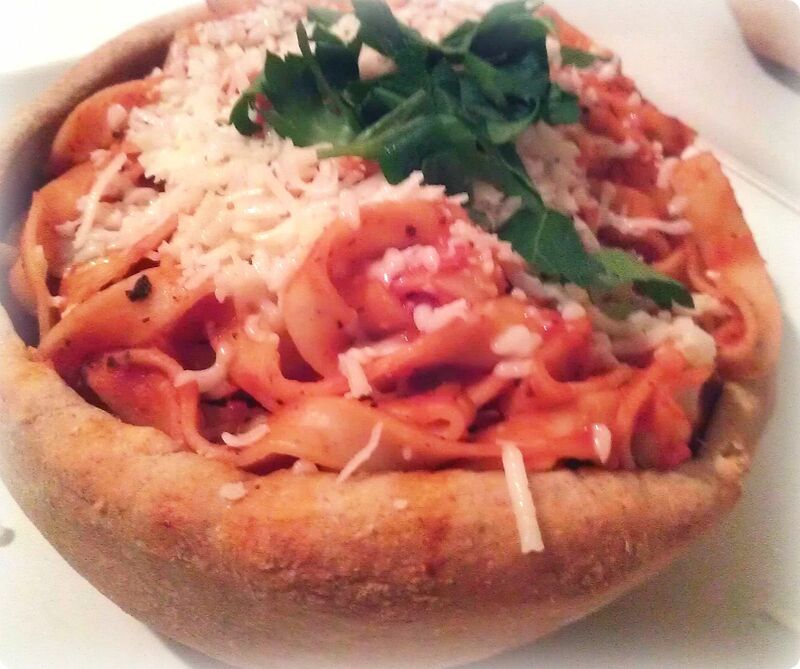 Make Adult Linguine for 2 and fill these scrumptious bread bowls! Place all ingredients in the bread machine in the order listed and set on the dough function. After it is finished doing the hard work for you take the dough ball (it shouldn’t be too sticky) and take two small balls and roll out on a floured surface; you want the dough to be sort of thick. Preheat the oven to 400 degrees. You want the newly flatten dough to be able to fit comfortably around a small Pyrex (10 inch) bowl. Rub oil on the dough and sprinkle some garlic and Italian seasoning on it. At this point you can place you favorite cooked pasta with sauce in the Pyrex bowl to bake with the bread bowl or you can leave the pasta out and only use the Pyrex bowl for the bread bowl. 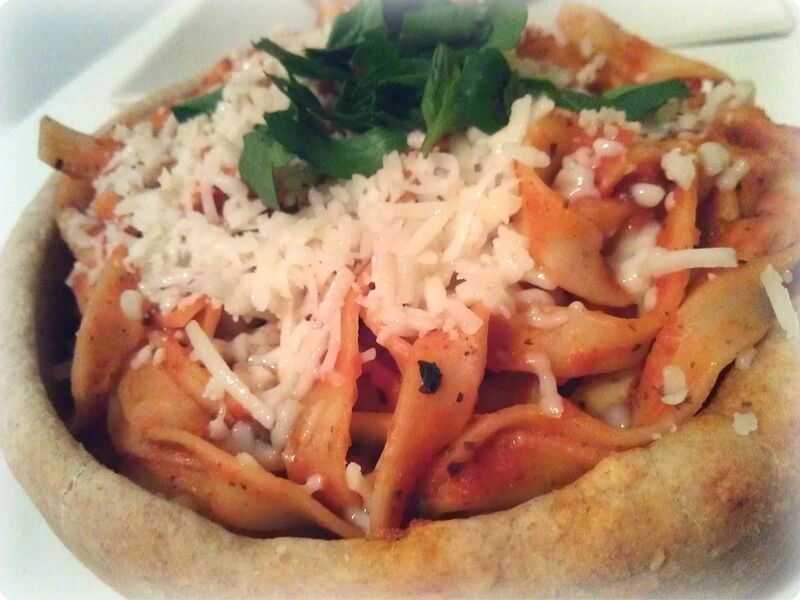 I usually bake the pasta with the bread bowl because I love baked pasta. Take the flattened out dough and fold it over the open end of the Pyrex bowl with the oil, garlic and Italian seasoning part facing down. 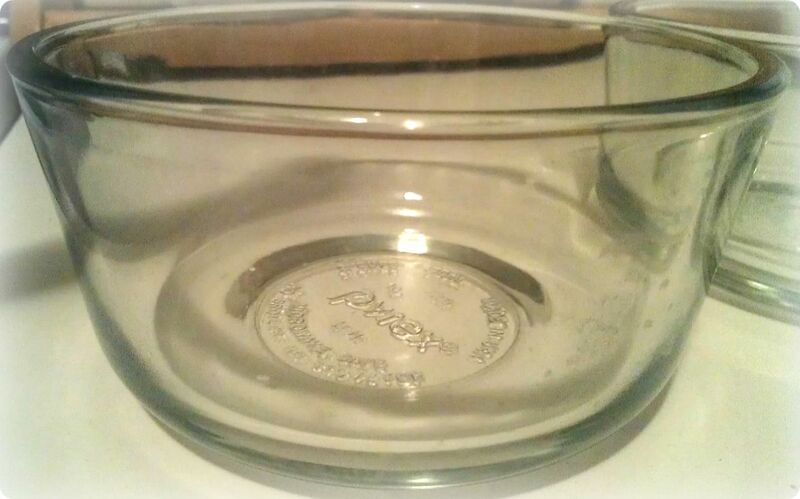 If you have two Pyrex bowls (which I recommend because it cuts time down), repeat the process with the other bowl. I find that it is easier to place both bowls on a cookie sheet or pizza pan and then place in the oven. 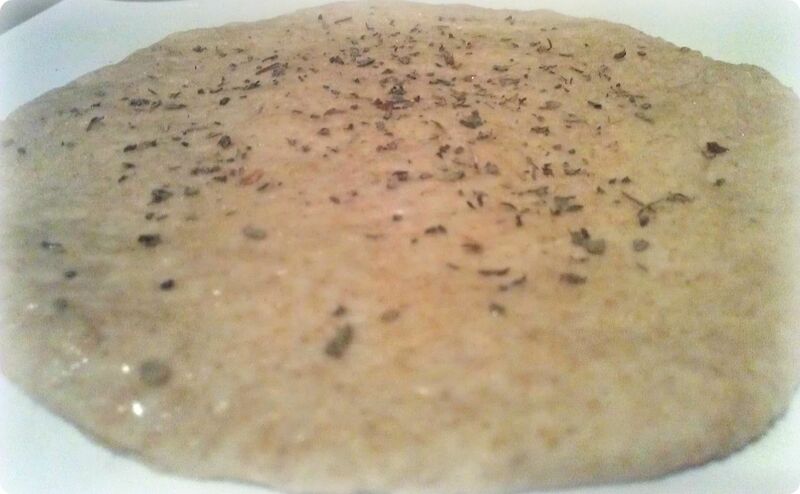 You will have left over dough which you should refrigerate and use for a whole wheat pizza crust in the near future or make more bread bowls with it. Bake for 10 minutes or until golden brown and let rest until it is cooled down, about 15-20 minutes. 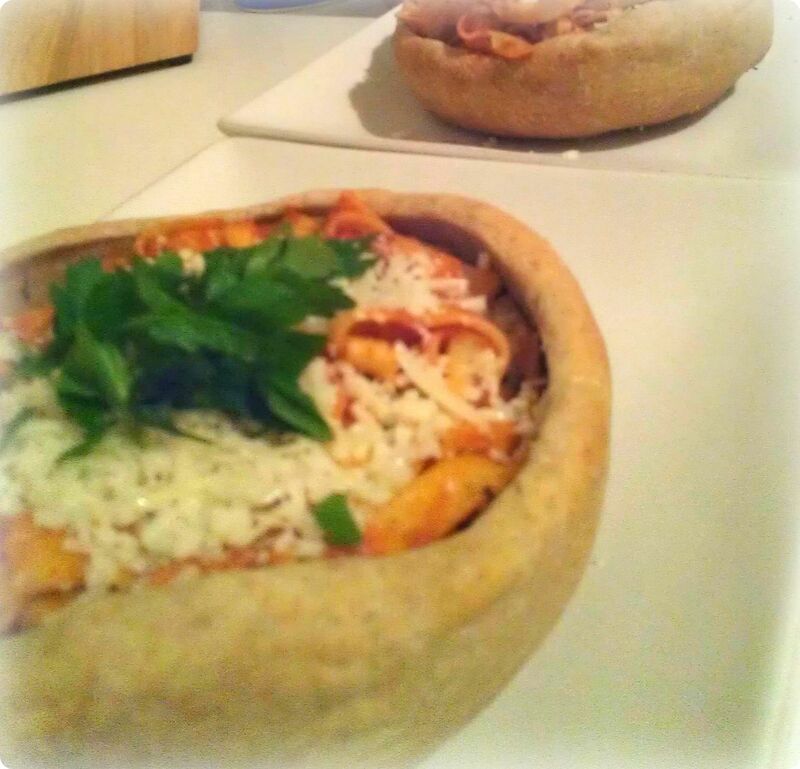 On a plate, flip the bowl over so that the bread bowl is now open face up and the pasta should fall in if it was baked with the bread bowl, if not spoon your favorite pasta and sauce in. Top with cheese of your choice ( I used a vegan mozzarella) and parsley. Serve with salad, wine and Reese’s cream stuffed strawberries for dessert. Totally simple and delicious. Check back tomorrow for sinfully good red velvet cupcakes and the rest of this weeks food menu can be found here.